SKY PRO TEAM Ltd. is the international shipping service that provides a complete transport and logistics in the country and abroad. 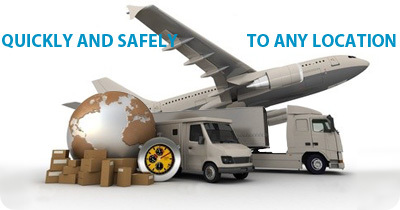 15-year of experience of our agents, we have gained in previous work with clients, enables us, and guarantees you, that we will meet all your request in secure and fast way and provide security, reliability and economic viability of transport and customs clearance of your shipment. Through our extensive network of agents in the country and abroad, we are able to offer a complete service in the field of air, road, rail and container transport - by taking over the organization, packing, customs clearance and delivery to the address you specify. Through our web site at any time you can track the current status of your shipment from the moment of taking up to final delivery at the destination. Our biggest advantage is people, experienced professionals, who always have a time and ready answer to your questions to find the optimal solution for improving your business. Fill out our simple form with the most basic information about transportation and we'll send you shortly with your best offer. Fill out our simple form with the most basic information about the customs brokerage and we'll send you shortly with your best offer.